Benjamin Tritt is an artist, currently living and working in Brooklyn, NY. Tritt was formerly the assistant Director at the Jerusalem Studio School and founder of the Goliath Institute of Art, Inc. Selected previous projects include public installations at the Nice Biennale, Cagnes sur Mer; Commission at the Bourse du Commerce, Paris, France during FIAC; Installation at Rothschild Fine Art, Tel Aviv, Israel; "The Flood" at the Goliath Institute of Art, Hillsdale, NY. He has lectured on Art and Architecture at Bar Ilan University, Tel Aviv; IUAV Architecture University, Venice, Italy; and the Slade School of Art, London, England. 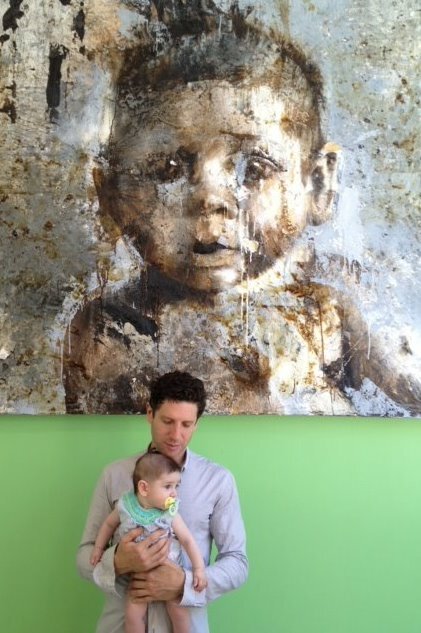 Tritt has exhibited at Salander O'Reilly Galleries, Haim Chanin Gallery, Gallery 33 Bond and the Kaufman Arcade in New York City; Espace Loudmer in Paris, France; and Gallery 33 and Rothschild Fine Art in Tel Aviv, Israel.